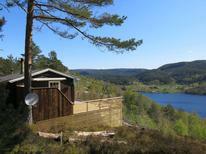 Secluded holiday home for up to 6 people at a fjord. ​North of the Arctic Circle | The sun does not set here in summer, while it barely slips above the horizon in winter. Experience spectacular nature in the far north! 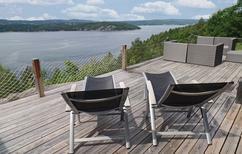 Holiday house for 9 people directly at the fjord coast. Norway | Hot Tubs are heated outdoor pools. These holiday homes all have an own hot tub from where you have a view across the landscape whilst enjoying a bubble bath. 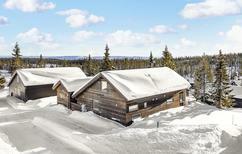 Holiday complex Nordseter Fjellstue near Lillehammer with accommodations for up to 5 people. You’ll be staying directly on the water with this floating home in a quiet bay off the island of Bremangerlandet. ​Norway | A boat and close by fishing grounds will very much excite hobby fishers. We have the suitable hut: For example with fillet place and freezer. “Very cosily furnished holiday home, super location,” wrote one satisfied holidaymaker about this holiday home for six people. Whether it’s at a fjord or further inland – we hereby present you with the holiday homes with the best reviews in Norway. This holiday home for eight people lies directly on the shore of the Sognefjord. ​Fjord Norway | Hundreds of inlets that cut deeply into the landscape characterise the coast of Norway. With these houses, you will be staying directly by the sea and enjoy the unique panorama close up. Grass-roof house for up to six people at Nordfjord. ​Norway | Houses with a grass roof are a special feature that is mainly found in Scandinavia. Wouldn’t such quaint accommodation be exactly the right holiday home for your next break in Norway? ​Norway | With these holiday houses it is explicitely allowed to bring pets so that your faithful four legged friend can also enjoy a relaxing and eventful holiday. 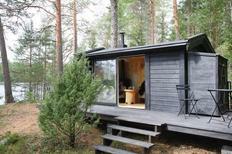 A holiday house in Norway costs on average USD 626 in the cheap travel period and USD 1,003 in the peak season per week. These details are of course in relation to the house and not per person as well as includes the obligatory additional charges. Stefan Loose Travel Handbuch recommends atraveo: Norway 2014, 2016, page 79. DuMont recommends atraveo: Norway 2013, 2015, page 79. DuMont recommends atraveo: Norwegen. Der Süden 2014, page 26. DuMont recommends atraveo: DuMont Travel Pocketbook – Hurtigrute 2011, page 26.
atraveo offers you 3,000 different properties in wonderful Norway for a great holiday home vacation. Many of the houses are detached, far-off from larger cities and mostly set in idyllic locations, for example at the banks of a fjord, near a lake or on a tree-covered mountain ridge. Some houses don’t only offer basic facilities but also additional extras such as sauna or whirlpool. Properties next to a lake often provide a boat and/or small jetty for fishing. Fjords, mountains and the sea these are the ingredients of your perfect Norway holiday. Norway’s nature is just stunning, whether you take the fjord coast or the thickly lush woods in the heartland. At the end of the last glacial period thousands of large glaciers moved from the mainland towards the coast and cut deep valleys into the Norwegian landscape. Today created fjords are a unique natural spectacle which you should not miss out on. Examples for especially gorgeous fjords in Norway, where atraveo offers a large selection of holiday homes are: Sognefjord, Hardangerfjord, Boknafjord and Nordfjord. Norway’s mountains and valleys offer numerous options for hiking holidays and during winter they offer perfect skiing conditions, such as the Hafjell Alpine Centre which is situated around the Olympic City Lillehammer (1994) or the Hemsedal Skicentre. You should also have a look at the holiday home offers of atraveo around the areas Setesdal, Gudbrandsdalen as well as Hallingdal and Hemsedal. Another very appealing travel destination are the Norwegian islands. The probably best-known are the northern island groups Lofoten and Vesterålen. Here you are as close to the beauty of Norway’s nature as you can get. Along the rugged coast of Norway’s fjords as well as lakes and rivers of Norway’s mountains in the heartland there are great conditions for fishing holidays. Fishing enthusiasts will not only enjoy Norway’s regions because of the abundance of fish but also because of the many holiday homes which are ideal for fishing vacations. Very often these properties have ideal locations right at the water and provide extras such as a fishing jetty, boat, filleting table and a large deep freezer. Some houses are also ideal for larger parties so that one can experience a great fishing holiday with close friends or colleagues. We recommend a combined journey with your own car and ferry. A regular ferry service is offered from Hirtshals in Jutland in Denmark to Stavanger, Bergen and Kristiansand. Also a night ferry operates from Kiel in Germany to Oslo. Once in Norway you are ready to go on with your own car. Those who are not keen on paying ferry costs have the option of driving the long route via Denmark and the south of Sweden. Alternatively one can also travel by plane to Norway. The international airports in Oslo, Bergen and Stavanger regularly operate flights (e.g. SAS Airlines) to a number of European airports. 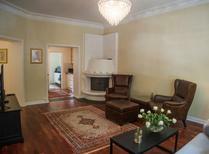 ... for a holiday in Norway are the summer months July and August. During this period the temperatures are relatively high and the days are long. Usually from September on the temperatures get considerably colder. However the Indian Summer in Scandinavia has its own unique charms. You should keep in mind that most attractions, shops and restaurants outside the larger cities will be closed outside the summer peak seasons.